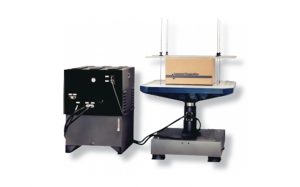 Lansmont’s Model 1800-5 vibration tester is an extremely versatile, easy to operate, highly reliable servo-hydraulic vibration test system. Whether you are testing individual packages or full pallet loads, sophisticated bare products to high-volume consumable goods, the Model 1800-5 offers a variety of configurations that make it perfect for many applications. The Model 1800-5 was designed to accommodate a wide range of table sizes, from 36″ (91.4 cm) square all the way up to 60″ x 60″ (152 cm) square. Its 2.5″ (6.35 cm) stroke, 4,566 Lb. (20 kN) stall Force actuator can handle payloads up to 1,300 Lbs. (590 Kg) without the optional One-G supports, or 2,400 Lbs. (1,089 Kg) with the One-G supports installed. 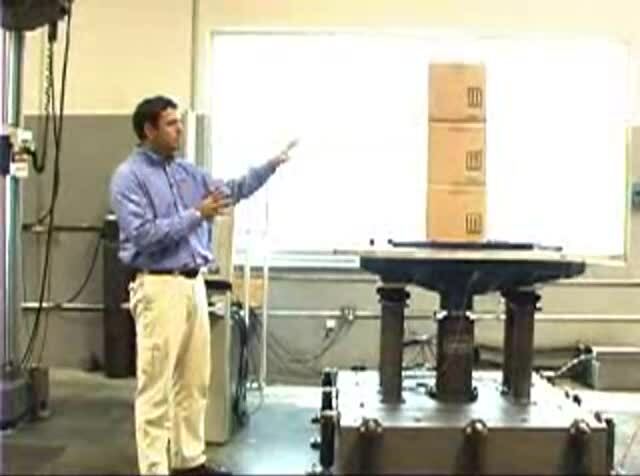 Eric Joneson of Lansmont introduces vibration testing using their line of hydraulic shaker tables.